Enhanced with the active benefits of aromatherapy pure essential oils, Mayella ® Cleansing Lotion has been formulated containing certified organic and bio-active botanicals. A vegan, plantbased daily cleanser that is suitable for all skin types, women, men and teens. Particularly gentle with sensitive skin, mature skin, acne prone and breakout skin conditions. A very effective cleanser that will additionally refine and regulate congestion of your skin cells with the presence of Alpha Hydroxy Acids (AHAs). Mayella ® Cleansing Lotion will help to improve open pores, fine lines, and calm those annoying breakouts that can occur from dietary imbalance, wearing make up, sunscreens, environmental pollution, hormone fluctuations and during the female menstrual cycle. Effectively and easily removes make-up, sunscreen, excess oils, environmental pollution and dirt that congests your skin by the end of the day. Importantly, Mayella ® Cleansing Lotion does this without stripping natural oils or destroying the acid mantle. The acid mantle is a naturally existing invisible film generated by your skin that is vital in protecting your skin from the environment. It is important for everyone to use skin care that supports and maintains the natural acid mantle of their skin to protect against environmental insults such as Ultra Violet (UV) rays, LED’s and Blue light, germs, chemicals and dirt that the skin can be exposed to throughout the day. Perfect non oily, non-comedogenic cleansing lotion for active and sports people to effectively cleanse away the sweat and acidic wastes expired by your skin after exercise. 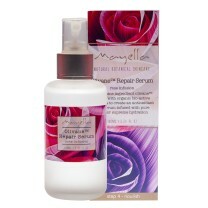 Without harsh alcohols to dry and strip the acid mantle, Mayella ® Cleansing Lotion leaves your skin soft and fresh. Shake bottle well and apply 1 – 2 pumps of cleansing lotion onto the palm of damp hands. Rub hands together and apply cleansing lotion over the entire face and neck. Massage gently, circulating well into the surface of the skin. Add a small amount of warm water if required and continue massage until the cleanser is well worked into the skin. Remove cleanser with a soft wet face cloth or Mayella fibre cloth and pat dry. Face and neck will not be left tight, but fresh, clean and ready for Step 2 – Exfoliate. Women: If you are wearing make-up you may wish to use a double cleanse method to ensure firstly, make-up and excess oil is thoroughly removed and secondly, your skin receives the full refining and regulating results of our cleansing lotion. Men: If you have a beard or moustache, massage well into the base of your facial hair.